Former VMI outfielder Matt Pita has been named a third-team All-American by the American Baseball Coaches Association. Pita, a 12th-round pick of the New York Yankees in the 2018 MLB Draft, was one of only two SoCon players on the three team listing and was the only player from the state of Virginia honored. The junior led the Keydets in 2018 with a .389/.459/.721 slash line, 14 homers and 48 runs batted in. 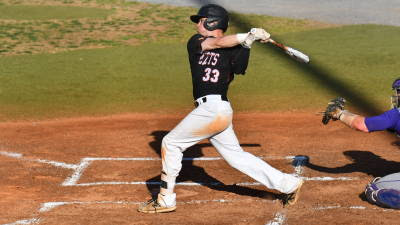 He is only the third player in school history to earn All-American honors, joining Rob Dickinson (honorable mention) and Matt Winn (third team), who were honored by the Louisville Slugger All-American Teams in 2013 and 2015, respectively.